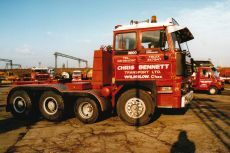 Chris Bennett starts work as a steersman for Keogh’s of Wilmslow, gaining valuable experience which will help to establish his name in the world of heavy haulage over the next 45 years. 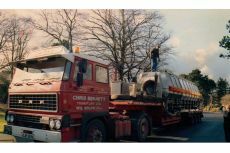 Chris branches out on his own, purchasing his first vehicle, a Ford ‘D’ Series truck from Hertz Truck Rentals for £350 with a capacity of 20 tonnes gross. 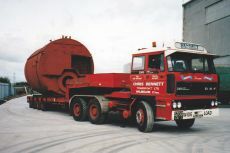 The picture shows an early load with Chris’s daughter Lorraine on the back. Lorraine is now a director. 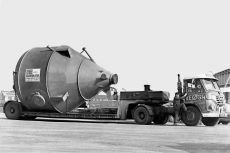 This was followed by a Scammell Handyman. The business operated out of a yard at the rear of Deanprint in Cheadle. 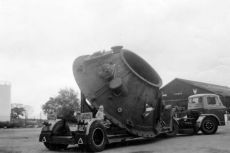 Bought a Leyland Clydesdale, which proved very versatile when hauling his 2 axle King Low Loader. Chris bought his first DAF, a truck which impressed him so much that DAF trucks have been a constant part of the fleet ever since. 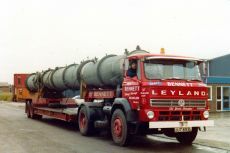 Chris Bennett Transport Ltd was formed. The company purchases its first 6 x 4 tractor unit, a DAF 3300 capable of pulling 125 tonnes gross. The company relocates to Bennett Street, Ardwick in Manchester, having outgrown its premises in Cheadle. 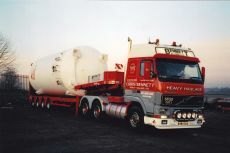 The current company, Chris Bennett (Heavy Haulage) Ltd was established. 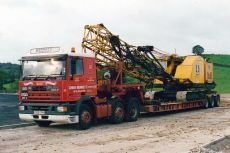 By this point, the company had diversified its fleet which now featured crane vehicles in addition to general and heavy haulage. A further relocation, to its current base in Bredbury, Stockport. Ideally situated just 5 minutes from Junction 25 of the M60 motorway. The company livery was updated to the now familiar red and grey colours. 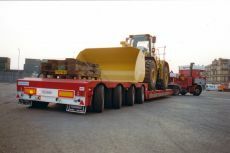 The company purchases its first power steered low loader, a 3 axle Nooteboom. Power steering is now a standard feature of all low and semi-low loaders in the fleet. 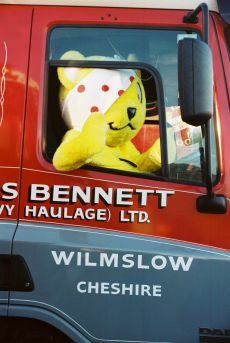 Pudsey Bear arrived in person to collect a cheque on behalf of Children In Need. The company continues to develop and diversify. 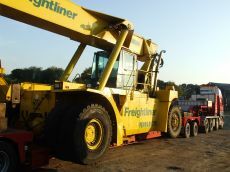 The latest purchases are a beam trailer, capable of carrying large plant of up to 100 tonnes and a 65 tonne/metre lorry-mounted crane.